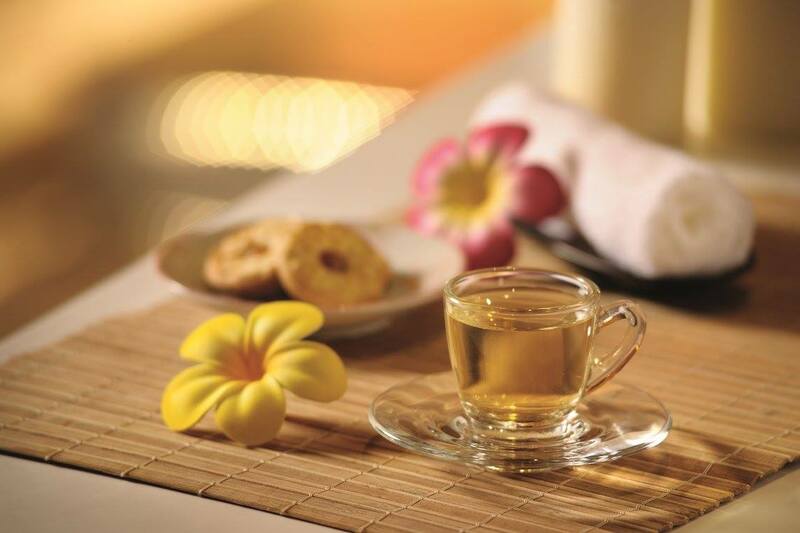 I love spa, not only to pampering myself but also for the many benefits it brings. I believe spa treatments could rejuvenate and re-energize our mind, body and soul, creating a truly pampering and blissful experience. 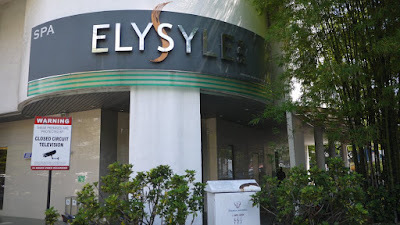 There are quite a number of spa in Klang Valley but the ELYSYLE Spa which is located at the Penthouse of Wisma Elken is one of the best that I have tried. Nestled strategically at Old Klang Road, ELYSYLE Spa is an excellent fusion spa that combines Eastern and Western elements in its setting, ambience and therapies. With 10,000 square feet of tranquil surroundings, ELYSYLE Spa is dedicated to providing a renewing experience within an exclusive, professional environment, which integrates advanced technology with natural sciences and the human touch. Situated at the top floor(4th floor) of Wisma Elken, I was impressed with a circular lounge area dominated by a central water feature once I step out from the lift. It's so zen and modernised. I was greeted with a warm smiles by the lovely ladies once I entered the Spa. They have offered me a change to their in house slipper before leading me to the lounge. I was served with hot tea, biscuits and towel while filing up the registration form. 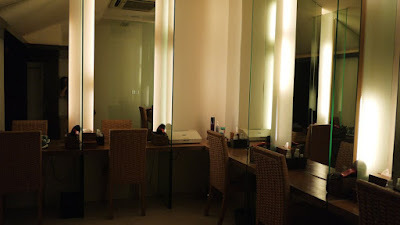 I was led to the powder room to change once I was ready. I was given a kimono bathrobe plus disposable bra and briefs to change before I was led to the treatment rooms. It was really hygienic. I like that the powder room is spacious and equipped with a full range of personal care products including facial cleanser, moisturiser, body lotion, hair gel, hair dryer and contact lens solution. 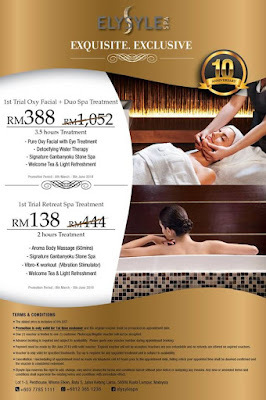 In conjunction with International Women’s Day, ELYSYLE Spa has offer some great offers for all. Hence I quickly took the chance to experience a 2.5 hour body treatment below. I was offered a cup of water at the rest area before proceeding to Elysyle's signature Ganbanyoku Stone Spa (40mins for RM138). 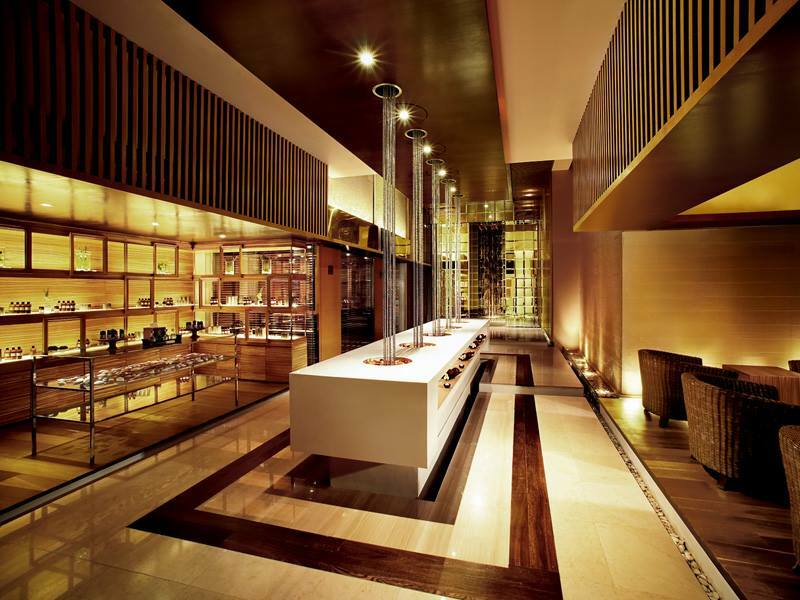 It is first of its kind in Southeast Asia that was fully imported from Japan. 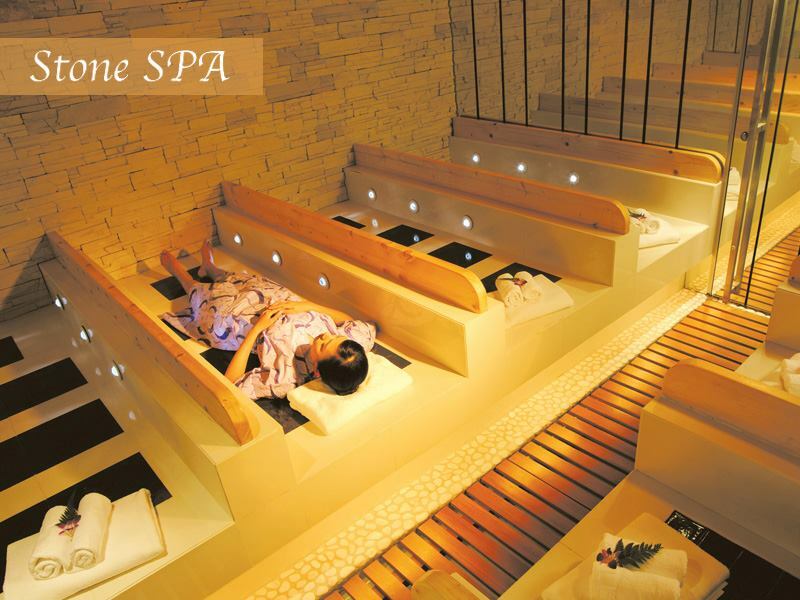 Ganbanyoku, also known as "rock bathing" in Japanese, is a treatment where customers lie on specially heated volcanic stone "beds". 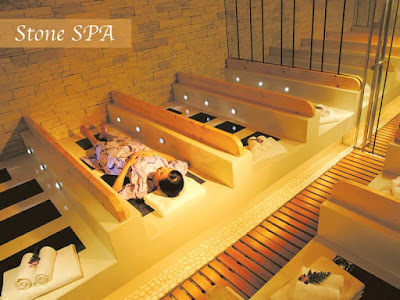 The Ganbanyoku Stone Spa uses 3 of Japan’s most popular ore, a kind of natural rock and gemstones to bring out differing yet positive benefits to the body in accordance to the customer’s health. 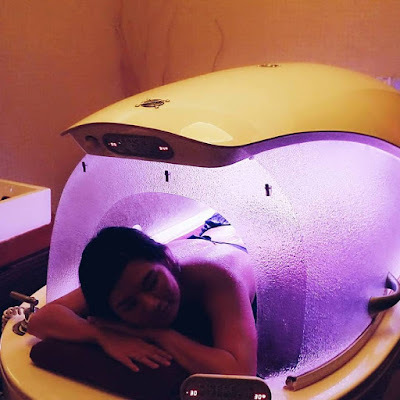 The stones are heated to 45 deg C and this is said to release far infrared rays (FIR) and negative ions that help the body release toxins through perspiration. I sweat a lot during my 20 minutes Ganbanyoku Stone Spa, and I felt energized and refreshed after that. After a short cooling down period, I continued with NeoQi 5-in-1 Water Therapy (40mins for RM238). NeoQi is a natural water therapy that combines a holistic 5-step approach with hydro massaging technique and essential oils. 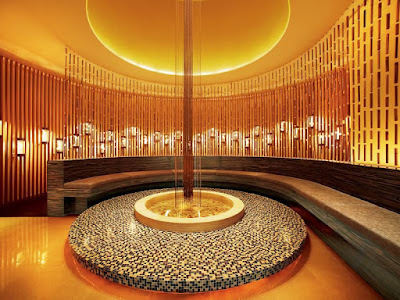 Started with Infrared steam to relax and detoxify, Chromotherapy to restores balance within, Vichy Shower to energise, Balneotherapy massage to calm and Vibro-massage to stimulates and completed with a scalp massage. I enjoyed the bursts from NeoQi a lot, it was indeed a great treatment to remove every existing tension. After a quick rain shower later, I was led to the massage room for my one-hour body massage (60mins for RM238). 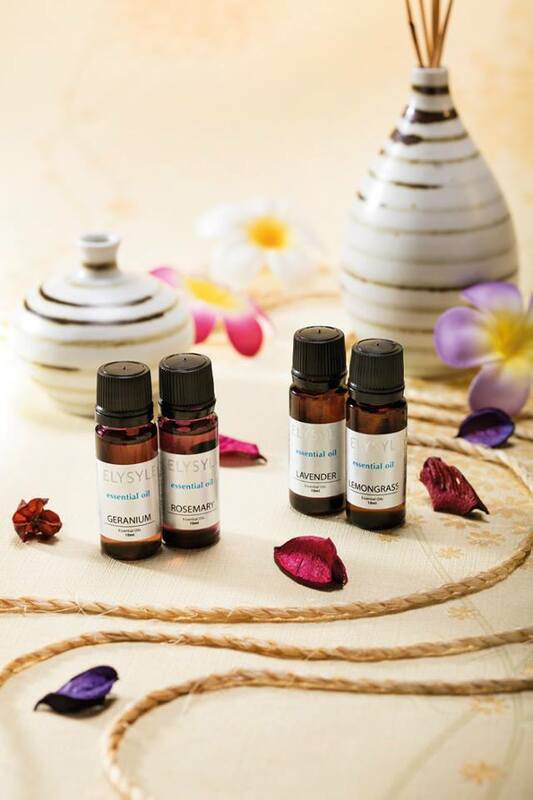 Elysyle uses organic essential oils and they are mixed with either wheat germ or sesame seed base oil. I was advised to use the Rose essential oil on that day. My masseuse applied thumb pressure throughout my body to relieve those tensed muscles. It was relaxing, with good pressure, and I felt completely loose and relieved thereafter. I slept great that night and the following night too. They are generous offering me tea and refreshment before and after the treatments. ELYSYLE Spa is definitely a perfect place to pamper yourself; I would certainly go back there to try other treatments. 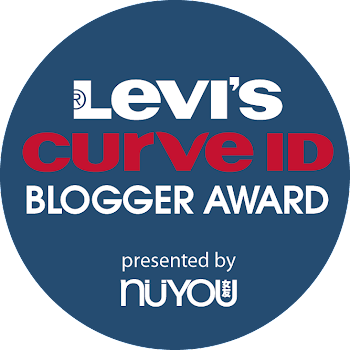 Now, good news for my readers. 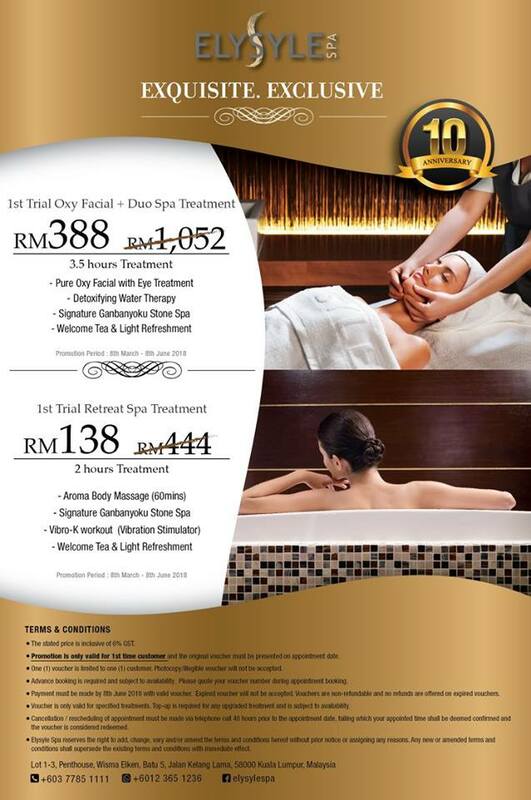 You could enjoy the following promotion by mention my special promo code ‘RANECHIN’ when booking the treatments. Note: This promotion is applicable to 1st trial packages only. This promotion ends by 8th June 2018. For more information, visit their website and facebook page.